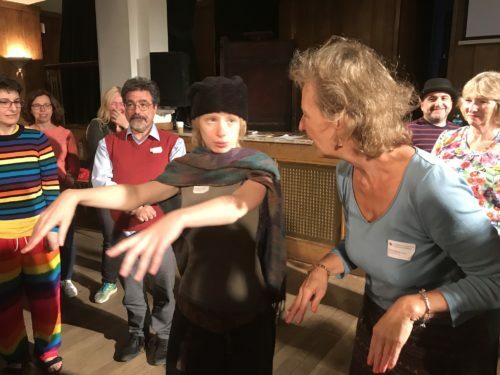 …and news, stories, upcoming events and event reviews from UnitedMind Ltd. Laughter Yoga, Laughter Yoga in London, all over the UK and sometimes in Denmark, The Laughter Club International (UK) and The Telephone Laughter Club. 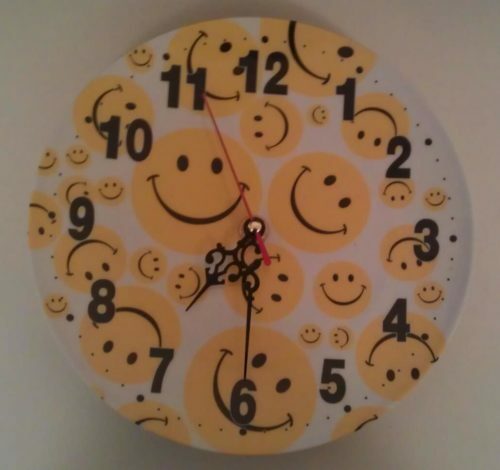 UnitedMind is on the forefront with laughter, happiness and joy! To continue receiving our news please subscribe if you haven’t already! The year has been full of laughter – thank you! And it is not over yet! 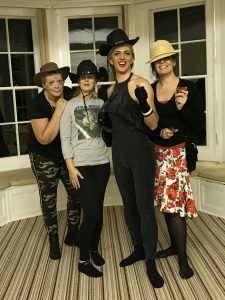 There is still lots of laughter to be shared and December is the busiest December has ever been in terms of Laughter Yoga Training and Laughter Workshops. Laughter is a true blessing when shared with friends and family just as much as when shared with strangers! I am always happy to travel to you to teach, play and to speak at your short or long event. Where there are people, there is opportunity for sharing laughter, joy and connection! No distance is too far when your joy and laughter is at stake! Give the gift of laughter to someone you care about. 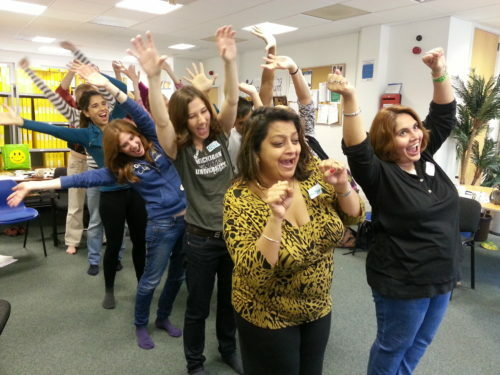 Remember booking Laughter Yoga and Laughter Therapist training! You can enjoy reading our news on our secure site on UnitedMind.co.uk! 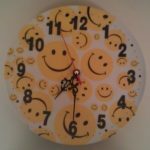 Please also feel free to follow the scribbles about laugh life and life in general as well as a few moments of change on The Laughter Blog. 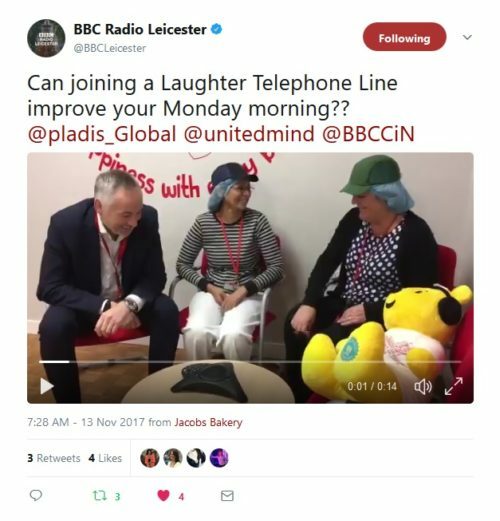 Our pages are constantly going through changes so please feel free to stop at Your Everyday Laughter Queen, Laughter Conference UK, and World Laughter Day UK, The Telephone Laughter Club, Laughter Clubs in the UK, and please stay with us on www.unitedmind.co.uk. December 2018 looks just as wonderful with plenty of laughter as the past months have. To give you an idea of availability please visit our Events Calendar. 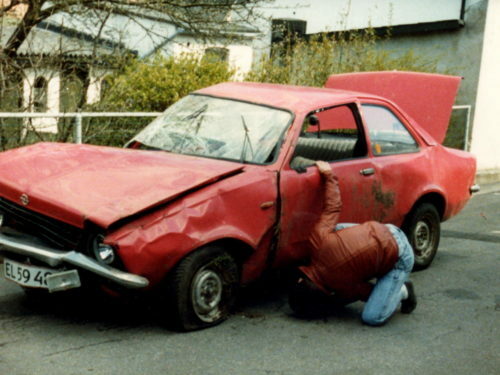 Remember we are always ready to be up to something with laughter and no distance is too far when the car is on the road! Laughter coaching, workshops and training offer great value in life and in the workplace. We can run our training courses and workshops at your venue if you cannot join us on scheduled dates around the country. Please contact us on email, info@unitedmind.co.uk, phone 0800 1214 714 or mobile 07736 341 717. 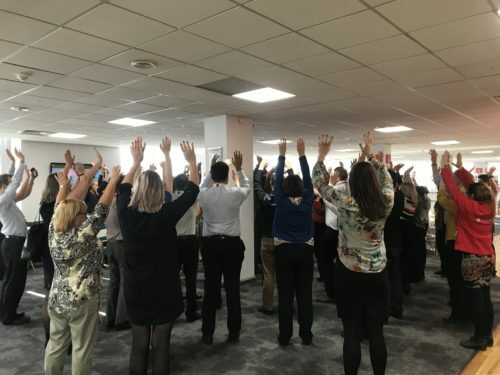 The number of workplaces who are choosing Laughter Yoga, Laughter Coaching and Laughter Therapy as a method for combatting various business needs such as team building, stress management, communication and presentation skills, as well as the more hidden pains within their staff, has risen dramatically over the past few years. 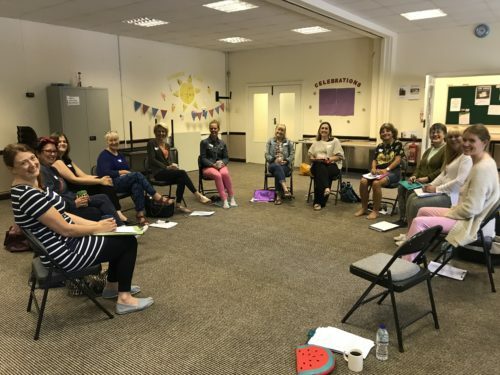 This increase in the requirement for laughter workshops and training is a great trend that is continuing into 2019 and beyond. Already the diary well into 2020 is bursting with bookings and I am tremendously grateful for the trust in the work we deliver around the country. 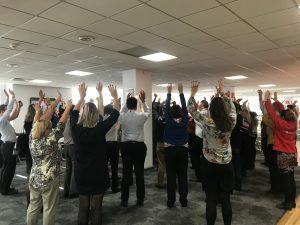 There has been and continues to be great focus on mental health in both the public and private sectors, and in this area we have many great results using Laughter Yoga as a long-term method to help integrate healthy habits and move forward in life. 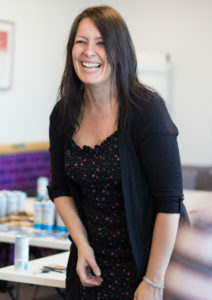 Mental health is NO LAUGHING MATTER and we take it extremely serious when we work within organisations with challenges of this nature seeing that we work with people, emotions, teams, families and encounter many issues that require true connection and huge capacity for compassion. This is what we create when we share laughte and community. 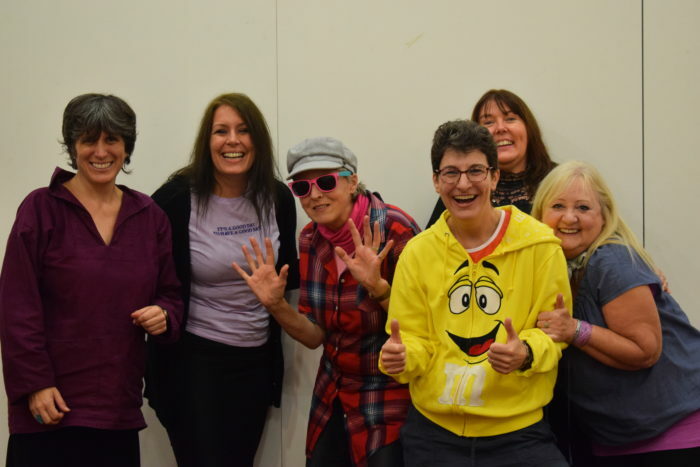 Laughter Yoga is for more than just one-off workshops and events. 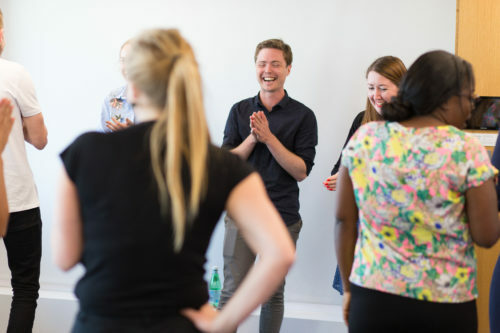 We provide long-term programmes to ensure the success of incorporating laughter as a professional statement and tool for creating results, both personally and professionally. People who experience this often feel more connected with their peers, grounded in themselves as well as feel ready for any challenge. There is not one single area where Laughter Yoga and Laughter Therapy cannot be applied to benefit individuals and groups. Your organisation benefits from an allround solution with the potential for building relations, creating focus and motivation, lowering absence and improving staff retention and morale. The workshops and keynotes we deliver have a deep-rooted foundation in real-life experience as well as in medical and scientific research. If you are interested in hear more about our corporate services please contact us on email, info@unitedmind.co.uk, phone 0800 1214 714 or mobile 07736 341 717. 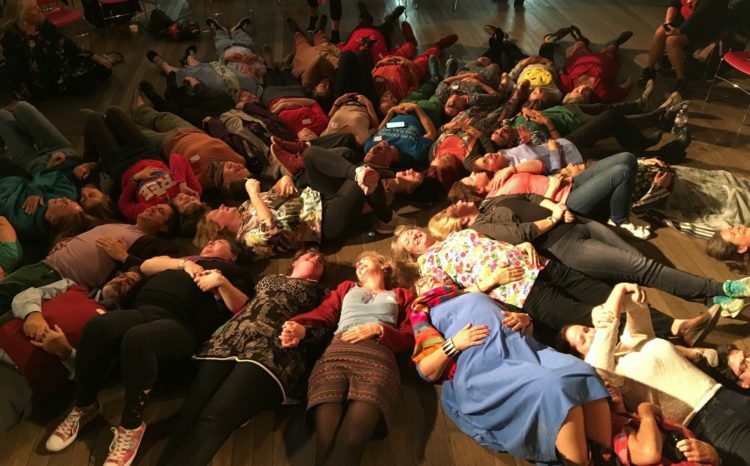 We are back to our original dates so you may want to change your diary to 5th to 7th June 2020 when we re-enter Conway Hall to celebrate Laughter Yoga 25th Anniversary and celebrate being Playing Humans. I am conscious that it may seem early to get the word out but I can assure you that venues are already booked far into the distance as are professional speakers. So. I cannot begin to tell you how excited I am that many keynotes are in place and although there may still be some surprises the line up is awesome! …and The Playing Human Conference 2020! And remember – these fantastic people are not only there to tell a story, they are coming to share some fun and play with us all! Make sure you book soon – even if 2020 seems a long way away. If you want to put your interest forward you can book now, there are only 200 seats made available and with a fee this time of £100 (early bird) and £150 (full fee) for all three days I am fairly certain we will fill Conway Hall in 2020. There are 40 VIP seats and only a few left! Please get in touch about our courses, workshops, conferences, laughter clubs and other events via email, info@unitedmind.co.uk, phone 0800 1214 714 or mobile 07736 341 717. 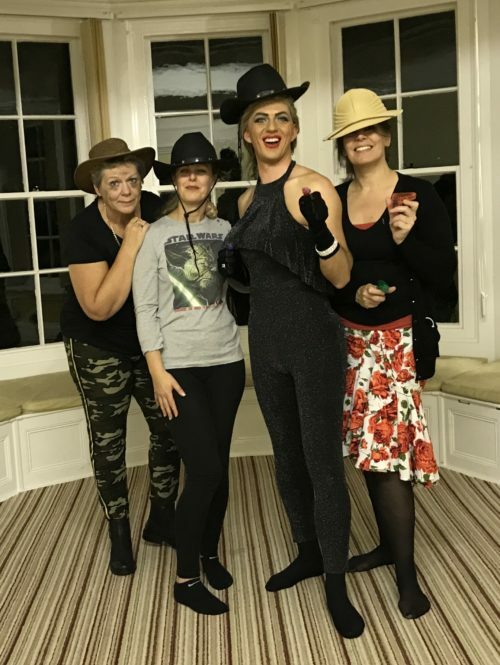 November and all the months prior to now have been full of shared laughter and although some may find it unexpected and others may love it what is a common denominator for all workshops and training is that we have spent time finding laughter and laughter has flown. Laughter connects us and helps us find common ground to move on from disagreement, adversity, differences, ups and downs, and all the things that constantly happen in life and at work. London is on a laughter high! The rest of the UK is on a laughter roll! The whole World is on a laughter mission! 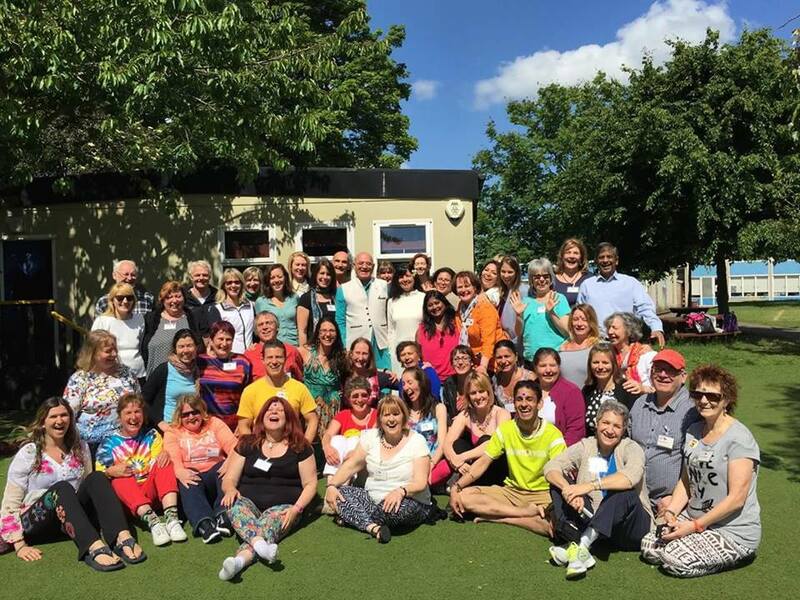 Throughout 2018 almost 20 workshops have been channeled from me to Laughter Professionals with whom I work with on a regular basis because I have not had the availability. I wish I could work with every client who come to me, but I also enjoy nurturing the people who have trusted me with their training and development, and I, in turn, trust them to deliver to very high standards. 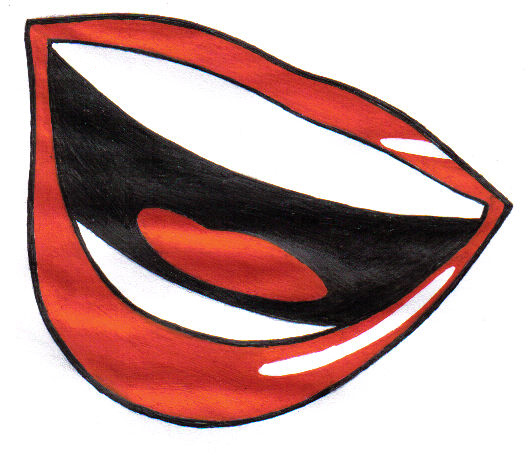 Furthermore, we work together and my vision is to create opportunities for laughter for us all. 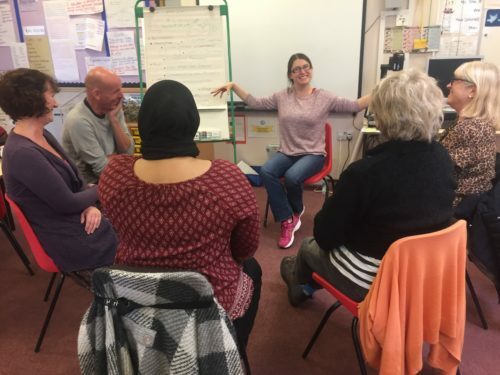 If you are interested in laughter workshops, training, coaching, keynotes, other events and how you can learn to promote health and happiness at home and in the workplace, please contact us on email info@unitedmind.co.uk, or phone 0800 1214 714. A reminder that we meet and share laughter in the 1st St Albans Scouts Wadley Hut in The Laughter Club International (UK) in St Albans on Sunday 2nd December at 1pm-2:30pm – please do join us! There are over 100 Laughter Clubs in the UK with their own webpage where you can find details. 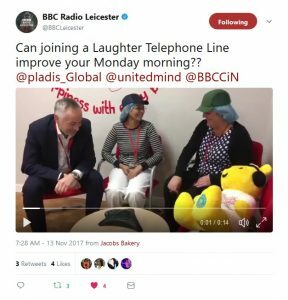 Please get in touch about the laughter clubs and other options via email, info@unitedmind.co.uk, phone 0800 1214 714 or mobile 07736 341 717. When you become a Certified Laughter Yoga Leader or Certified Laughter Yoga Teacher you are not stuck with your presentation. Learning Laughter Yoga takes you through a formula that works well and teaches you a way of presenting which is a great foundation. 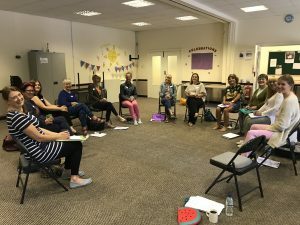 With this formular for introducing and running a laughter session it means you have a standard that you can work with in your sessions but it is far from ‘the only way to do it’. Everyone has their own style and the format is simply a way of encouraging you to get confidence and to develop your own way of introducing. Everyone learns the same method of delivery but Laughter Yoga then evolves and develops to be shared from our personality and your soul. Nothing is set in stone and we come from a variety of backgrounds where we bring in our own core values and ideas, this is what we share in our groups when we are trained Laughter Yoga Leaders and Teachers. 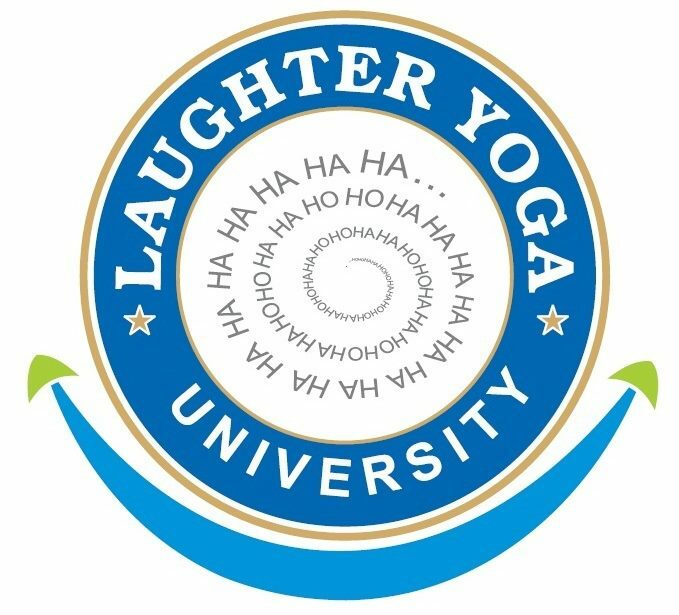 Since 2007 I have trained more than 1,000 Certified Laughter Yoga Leaders and over 150 Certified Laughter Yoga Teachers. I am not telling this to brag in any way (perhaps just a little moment of feeling proud and feeling grateful), instead it is to highlight the popularity and the need for this type of training. 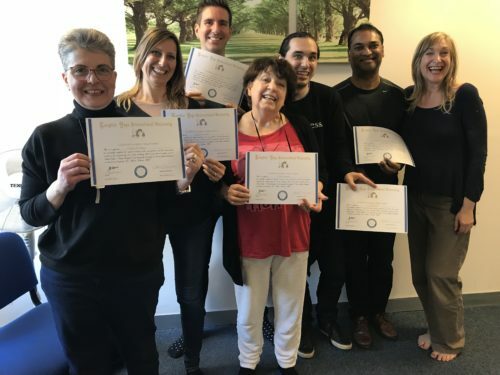 The 2-day Certified Laughter Yoga Leader Training is really popular as a starter and both myself and the teachers I have trained enjoy teaching Laughter Yoga Leader students on courses around the country. 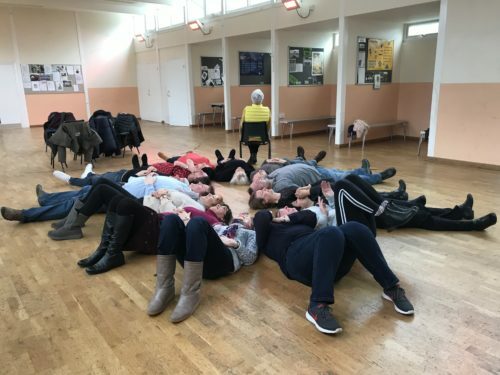 If you would like to train with me I would love to teach you and share my 16 years experience with you in London (together with Mel Bloch), St Albans, Durham, Blackpool and your venue if you want to organise your own dates with your group of minimum 4 people, as well as one-on-one in Hemel Hempstead. 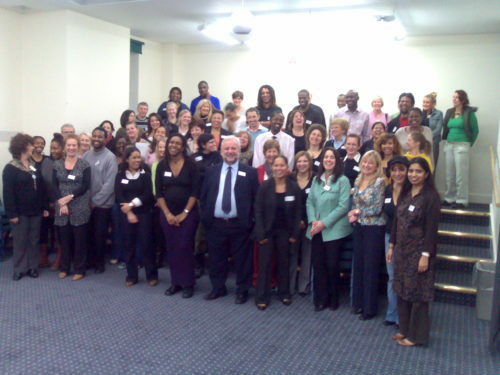 There are currently 104 regular Laughter Clubs started by Laughter Yoga Professionals. However, there are MANY more Laughter Yoga Professionals who have trained and taken Laughter Yoga and Laughter Coaching into their lives, their workplaces, and their communities without starting a social Laughter Club. It is all about deciding what is suitable for you! 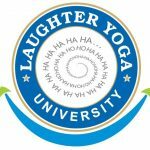 The 5-day Certified Laughter Yoga Teacher Training is the next step where you learn to teach Laughter Yoga Leaders and use more techniques in your professional work and personal life. The training has been running at Felden Lodge in Hemel Hempstead since I started teaching the course in November 2012 – and it is amazing. You get the opportunity to connect with some wonderful Laughter Yoga Professionals who together with you are taking Laughter Yoga to a whole new level. We go into the depth of breathing as well as discuss business oppotunities, you share you own special talent even if you think you have none, and much more. 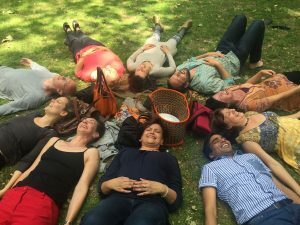 The price you pay for the 5-day Certified Laughter Yoga Teacher Training is inclusive of accommodation from Monday to Friday and includes a vegetarian diet all week. 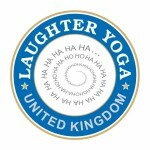 Please make your booking via secure link on www.unitedmind.co.uk/product-category/training/laughteryogateacher. Laughter Yoga will feature in the book by Elizabeth Gowing, “Unlikely Positions in Unlikely Places; a yoga journey round Britain” coming out with Bradt in June 2019. 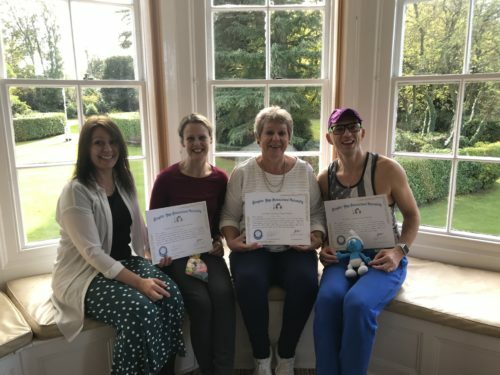 We were excited to invite Elizabeth in to experience Laughter Yoga with us at our Certified Laughter Yoga Leader Training in Blackpool in October. Laughter Yoga is for everyone! 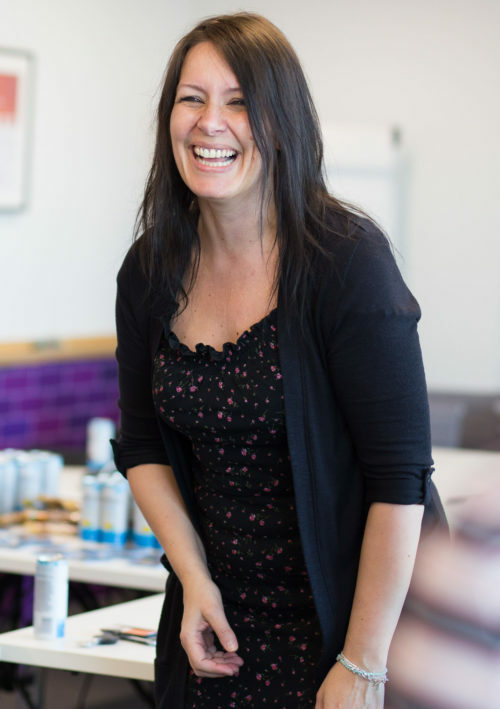 Whether you want to start your own Laughter Club or simply wish to bring more laughter into your own life, workplace, community or business, the training courses are fantastic. 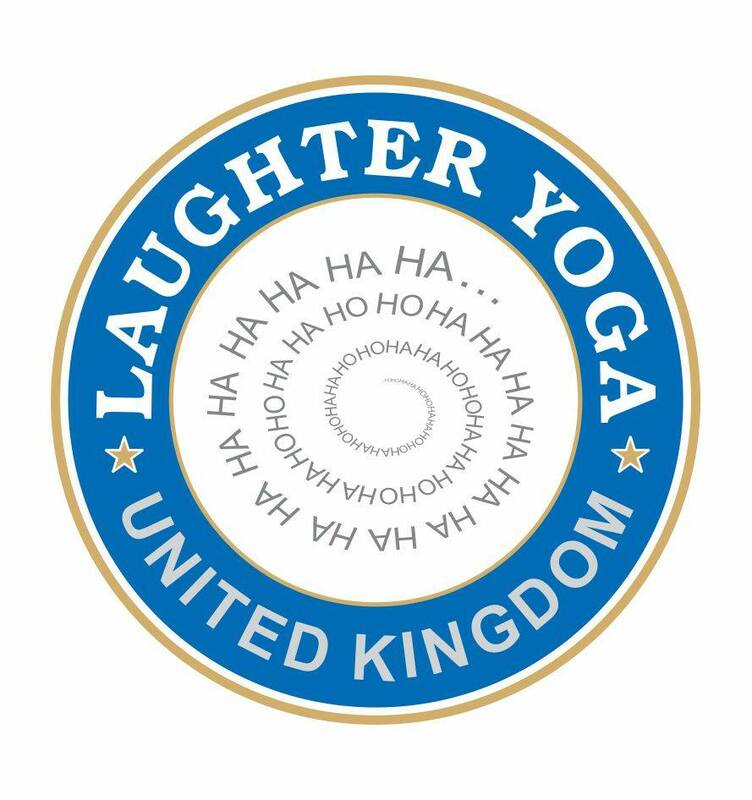 For information about Laughter Yoga, our clubs, courses, workshops and how you can learn, please contact us on info@unitedmind.co.uk, or 07736 341 717. Your workplace or with your group at dates to suit you! Fees for residential training are including accommodation (only applies to Hemel Hempstead training). Feel free to enquire about special offers at any time. Or you can book your 8-week One On One Laughter Coaching Programme and get closer to your real laughter through the practice of Laughter Yoga exercises. 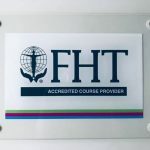 All fees listed in the newsletter are early bird fees available until one month before training dates and excluding travel and accommodation costs unless otherwise stated. 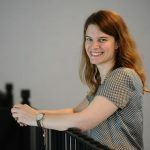 Other deals may be available as well as special agreements with companies and organisations who wish to train teams and individuals in their workplace. 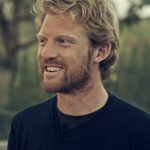 If you want to be sure to get a place on the course of your choice please book now in the UnitedMind Online Shop. For more information about certified training courses please contact us via email, info@unitedmind.co.uk, or telephone 0800 1214 714, or mobile 07736 341 717. 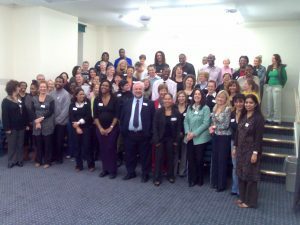 Full details of all workshops and training programmes, and how to register, are listed on UnitedMind’s website. This entry was posted in UnitedMind News and tagged business, catharsis, communication, compassion, conference, confidence, connection, family, festival, fun, gesundheit institute, gibberish, happiness, happiness project, health, honesty, jeremy gilley, joy, laughter, laughter club, laughtertherapy, laughteryoga, leif hansen, linda leclerc, living, london, lotte mikkelsen, madan kataria, merv neal, multiple sclerosis, nonsense, pady oconnor, patch adams, peace one day, playing human, resilience, robert holden, shonette bason, spark interaction, stressmanagement, success intelligence, teambuilding, unitedmind, wellbeing, world laughter day by Lotte Mikkelsen. Bookmark the permalink.